Produktinformationen "Im Sang-soo - Korean Film Directors"
The stories that IM Sang-soo tries to tell deal with the lives of modern Koreans. He feels that the responsibility placed upon him as a storyteller is the history of "here and now" untold by older Korean directors of the same period. IM is practically the only director now making films that take a long look at the lives of contemporary Koreans without losing their historical sense. 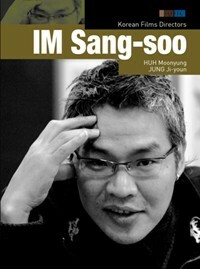 The major interest of this book is in examining the way in which his films observe the lives of modern Koreans. He does not view experimentation in style and form as important, but he realized early on that the stories he sought to tell often demanded unconventional form, and he has worked on polishing the formal beauty within his films to a dazzling degree. Weiterführende Links zu "Im Sang-soo - Korean Film Directors"
Kundenbewertungen für "Im Sang-soo - Korean Film Directors"